Convenience store shopping often yields a large amount of plastic bags. It does not matter if it is just one item being purchased, it will be bagged. While most people do not pay much attention, the reality is that plastic bags are some of the culprits of Mother Nature’s deterioration. 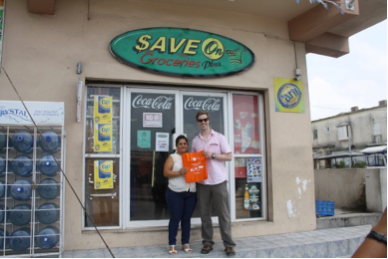 A single plastic bag will take up to a thousand years to degrade, and it is commonly found worldwide, especially in coastal regions such as Belize. 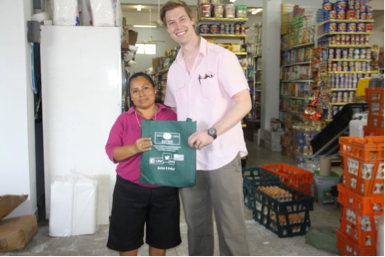 Recently the US Embassy celebrated Earth Day in San Pedro by introducing the Reusable Bag program. 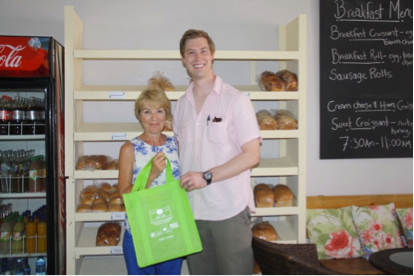 This program was launched last year in November in the city of Belmopan with the main purpose of reducing the excessive use of plastic bags and contributing to the welfare of the environment. After its tremendous success in the capital City, the program has now been expanded to San Pedro. The reusable bags program comes with quite a treat for the buyer. When a purchase is made and the customer requests a reusable bag, he/she gets a five percent discount. The bags can be obtained at the following establishments: Super Buy, Save On Groceries Plus, and The Baker in San Pedro. If any of these stores run out of bags, you can still get your five percent discount when you take your reusable bag to any of the stores mentioned above. “We received 70 bags, but at the moment we don’t have any left at Super Buy South. However, people are encouraged to bring their reusable bags and we will still honor the discount,” said the manager of Super Buy South. According to public affairs personnel from the US Embassy the program’s main goal is reduce the use of plastic bags and while getting everyone involved in this valuable initiative that will benefit the environment. At some point the idea is to have everybody utilizing their reusable bags and plastic bags be obsolete. Belize largely depends on eco and ocean tourism which contributes to its gross domestic product. The issue of plastic bags littering the coastlines and her cities and towns can affect her drastically. Finding ways to eliminate this harmful product is a step in the right direction. 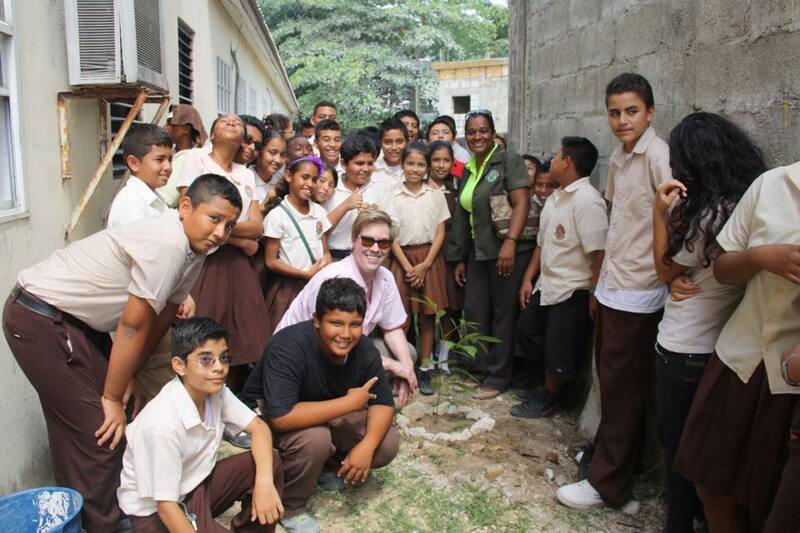 During Earth Day in San Pedro, officials from the Embassy also planted a mahogany tree on the grounds of New Horizon Seventh Day Adventist School. This gesture is an additional commitment to the preservation of our beautiful planet and to make a difference in Belize. Lobster Fest Here We Come!! !